We know you love Instagram Stories feature! Even if you don’t you’ve probably sneaked a peek to see what the fuss is all about. Ever since Instagram launched the Stories feature, it has been constantly throwing in some new gimmicks like Boomerang or Superzoom. 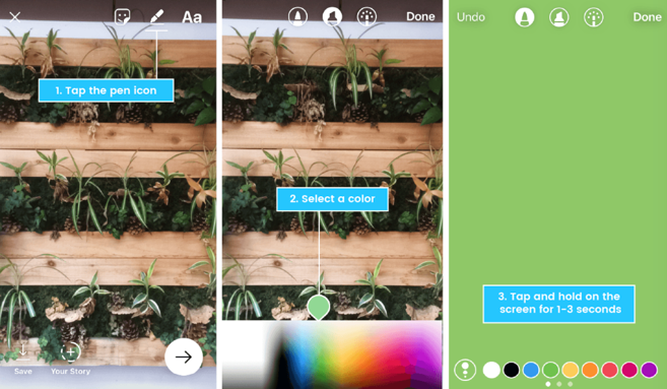 If you’re already an experienced Stories user, or want to figure out Insta stories a bit more, here are some priceless tips you’ll definitely love! Use the text tool to type your message. 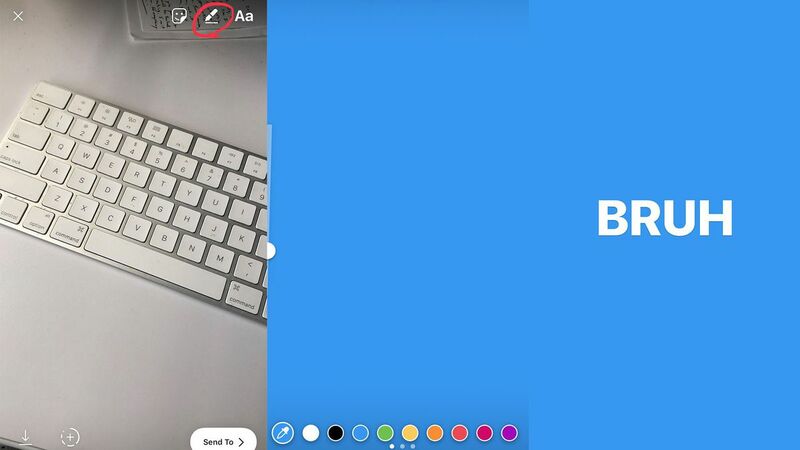 Highlight the part of text you want to paint a different color. Simultaneously, drag another highlight across the color range at the bottom of the screen. You will see the colors of the highlighted letters change while you move. If you drag slowly, you will get every letter. Watch the YouTube tutorial to ensure you got everything right. If you want to give an artistic twist to your Insta Stories instead of posting random pics, here’s an idea for you. Try turning the sequence of pictures into a visual essay. What if each picture added to your Stories is a slide in a click-through slideshow. Break the whole storyline into separate parts, then go ahead and load it. 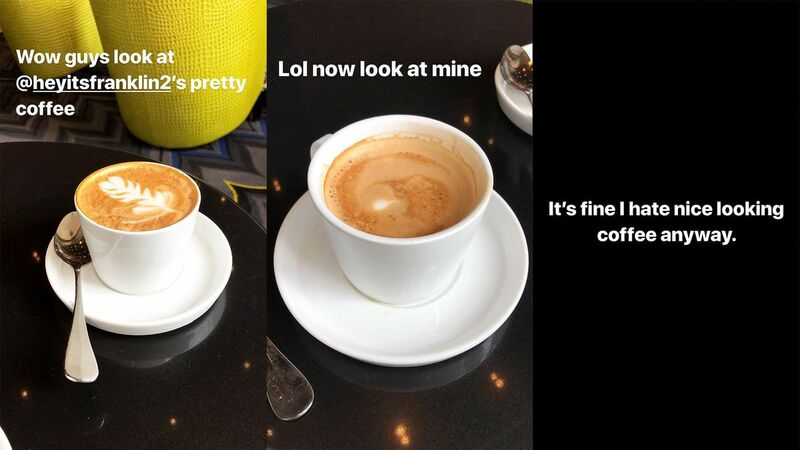 Here’s an excellent example of putting a cup of coffee into the Insta Story spotlight. DO NOT overload each photo with text. You can’t read a novel in 10 seconds, anyway! Sometimes you don’t really need to post a picture, but rather paint the background in a solid color. Start off with taking a random photo. Press onto the pen tool to select a color. Long press on the photo and wait until it is completely painted in a chosen color. To customize the background color, long press on a color to bring up the color map. What About the Dropshadow Effect? 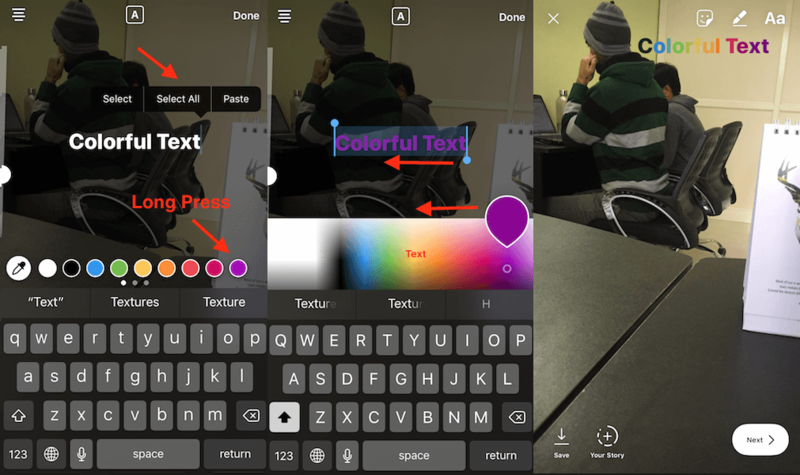 You can make your text-only Insta Stories more versatile with drop shadow effect. How can this be done? To add a manually created drop shadow, write the text, then copy and paste it again in a different text box. Check if it's the same size as the original. Darken the copied text changing it to a shadowy gray, then put it behind the original. Hopefully, these tricks will help make your Instagram Stories fun to watch and gain recognition from your followers! BEST Relaxation for Students: Have You Tried ASMR?